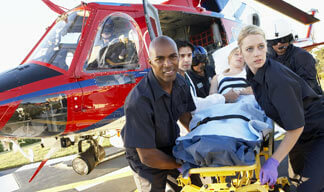 RC Health Services is the premier provider of EMT Basic courses in the United States. 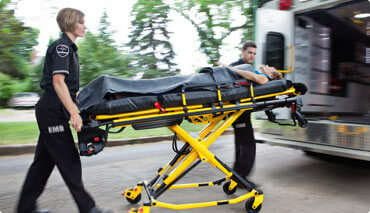 How do I become an EMT in San Antonio Welcome to our state approved Online EMT Basic Course! 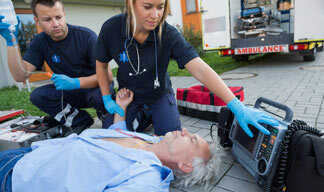 EMT - Emergency Medical Technician The EMT-Basic course is designed to train individuals in skills and knowledge necessary to complete the National Registry EMT examination and achieve certification as an Emergency Medical Technician. The course is open enrollment! Start your training today! Complete the Program Application online. Click here for the application! A medical history and physical form completed by your physician or clinic. Payment Plan Available! Click here for more information and a full tuition breakdown! Work at your own pace! The student has six months from the day they start to complete all aspects of the course. The student will spend 140 hours completing the didactic portion online at their own pace. Each student will complete two skills practice days and at least one National Registry Skills Testing Day. These days are posted in advance to accommodate our students' schedules. RC Health Services clinical rotations are provided via several major hospitals and Municipal 911 EMS agencies throughout the United States. Students will complete 48 hours of EMS time with at least 6 patient transports, and 24 hours of Emergency Department time. Content © 2019. RC Health Services LLC. All rights reserved.